Eddi & Ryce Photograph Second Life: Classic Advertising: Water Conservation can be fun with a Bradley Group Shower! 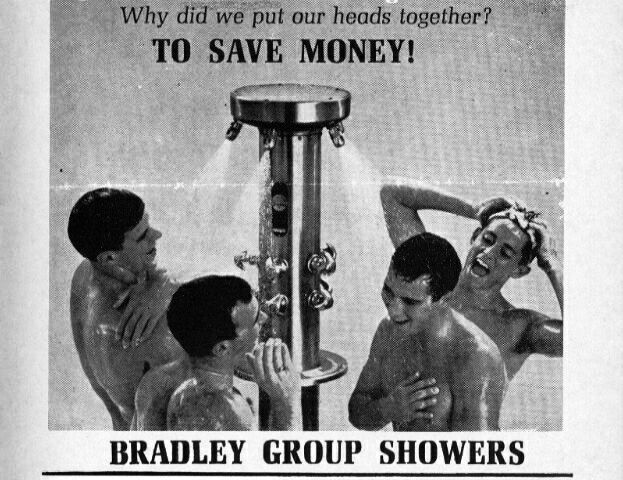 Classic Advertising: Water Conservation can be fun with a Bradley Group Shower! I do not know about you, but those two college jocks on the right seem to be enjoying themselves a little too much don't you think? It looks to me like heir heads aren't the only things they are putting together. This is a real 1950's ad for Bradley Group Showers.